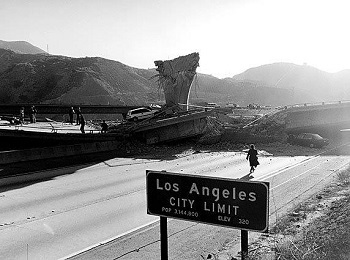 On January 17th, 1994, a massive 6.7 magnitude earthquake struck the North San Fernando Valley during the early morning hours. The quake shocked residents across our region. The loss of life, the injuries, and the billions of dollars of damage served as a sobering reminder of the power of nature and the risks that come with living in earthquake country. 25 years later, because of the terrible losses we suffered, we have learned a great deal. However there are still many ways we can improve our preparedness for the next big one. As a result of legislation passed by the Los Angeles City Council, Multi-family “soft-story” apartments are now required by law to be retrofitted so they are capable of withstanding a quake of similar or greater magnitude of the Northridge Earthquake. With the City of Los Angeles currently in the midst of a housing shortage, protecting existing structures is critical to both protecting the lives of residents and preserving livable structures after the next earthquake hits. We have also updated and integrated our emergency response systems so that our public safety personnel are prepared for any eventuality. The City of Los Angeles has also just released the ShakeAlertLA mobile app. This mobile app has been designed to alert users once earthquake activity is detected, in order to warn residents that an earthquake is about to occur and giving you the precious seconds necessary to get to safety when it strikes. For more information on ShakeAlertLA and to download the app, visit the ShakeAlertLA website. All of these actions have helped improve the chances of keeping you and your family safe. However, the most important steps to take are ones that we each must do personally: having an emergency kit at home and in your car and making sure every member of your household knows your disaster plan. These are steps that only you can perform and it'll be too late to do them once the big one hits. On the 25th anniversary of the worst natural disaster in this city's history, please take the time to educate yourself about how you can best prepare your home and family for the next earthquake.